Curves, Gestures May Be in iPhone's Future. Gesture control and a curved body may be in the iPhone's future. Apple has been experimenting with those features for the iPhone, and they could be ready for prime time in two to three years, Bloomberg reported Wednesday, citing "people with knowledge in the matter." Gesture control would allow a user to execute tasks without touching the screen. The technology could be used for more than just answering phone calls and opening apps, noted Gartner analyst Tuong Nguyen. "It could be used to enlarge the user experience," he told TechNewsWorld. "It could be folded into an umbrella of multi-modal user experiences -- understanding what you want through a gesture, a touch, voice or a biometric," Nguyen suggested. "Gesture will be a bigger play than just ignoring a phone call with a wave of your hand." The mobile industry is looking at innovative user interfaces to breathe new life into the market, and gesture control can be a part of that, said David McQueen, a research director at ABI Research. "Many new interfaces will develop where voice, artificial intelligence, mixed reality, augmented reality and gesture experiences will all come to the fore," he told TechNewsWorld. Gesture control can have more prosaic applications, too. "It's good when you're wearing gloves or your hands are dirty," said Kevin Krewell, a principal analyst with Tirias Research. "I expect this to be a cool demo feature, but not something people will use all the time," he told TechNewsWorld. Gesture controls don't make anything necessarily easier, maintained Ramon Llamas, a senior research analyst for IDC. "The easiest and most natural user interface is the one where you don't have to use touch or gestures at all. That's using your voice," he told TechNewsWorld. "I just haven't seen anything from the gesture side of things that says users want to do this." Curved displays aren't new. Samsung's latest Galaxy models, the S9 and S9+, have them. Even the iPhone X has a slight curve at its bottom. However, it appears that Apple has been experimenting with curving the display gradually from top to bottom. Samsung curves its displays at the edges. The use of OLED displays gives phone makers the ability to bend the screens in their devices. "The ability to bend the display allows for a more flexible design for the phone," explained Tirias' Krewell. "I expect this will allow for a more comfortable and organic shape in the hand." That said, the merits of curved screens don't seem to have captured a lot of interest. "Curved screens have been tried before in smartphones and TVs, and they don't seem to have had much resonance with consumers," noted ABI's McQueen. "I think it would be risky to adopt curved screens into Apple's portfolio unless it is implemented in a way that hasn't been seen before and is more subtle than previous attempts, which is what Apple does best," he added. When Samsung began curving displays, it did so with an eye to altering the interface of its devices, said Gerrit Schneemann, a senior analyst with IHS Markit Technology. "At this point, the curve is just a design aesthetic," he told TechNewsWorld. "There's nothing enabled by it." If Apple were to add curves to the iPhone's figure, it would be tardy to the party, but that's never been a problem for the company in the past. "Apple will surprise you," Gartner's Nguyen said. "Maybe they'll bring it in late, but they will likely bring in something new, interesting and valuable to the consumer. I look forward to being surprised." In a smartphone market where differentiation among flagship phones has become increasingly difficult, incremental technologies like gesture control and curved displays could help separate iPhone from the pack, observed Andreas Scherer, managing partner at Salto Partners. "However, the big question is, how much is the market actually willing to pay for incremental improvements that may or may not significantly impact the overall user experience?" he wondered. 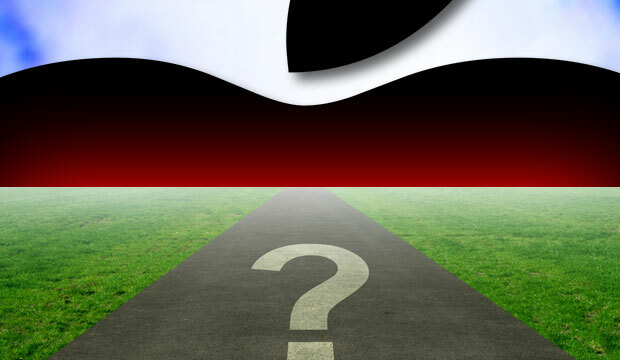 "Apple has adopted a high price strategy from the very inception of the iPhone," Scherer told TechNewsWorld. "It's unclear if these capabilities will help justify Apple's premium in the future.